Offering classic beauty with clean lines and finished in smooth white, this storage cabinet from the London collection offers a practical storage solution for toiletries and towels. 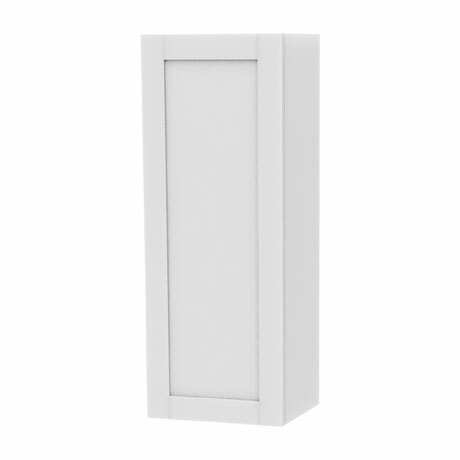 Features a soft closing door with an option of a left or right hand opening. The unit also has 2 internal adjustable glass shelves and is fitted with mounting rails and brackets for adjustable and quick installation. Comes with a polished chrome handle to add character to this stunning piece of bathroom furniture. Made of painted MDF. Backs, shelves, etc. are made of veneered or foiled panel materials.